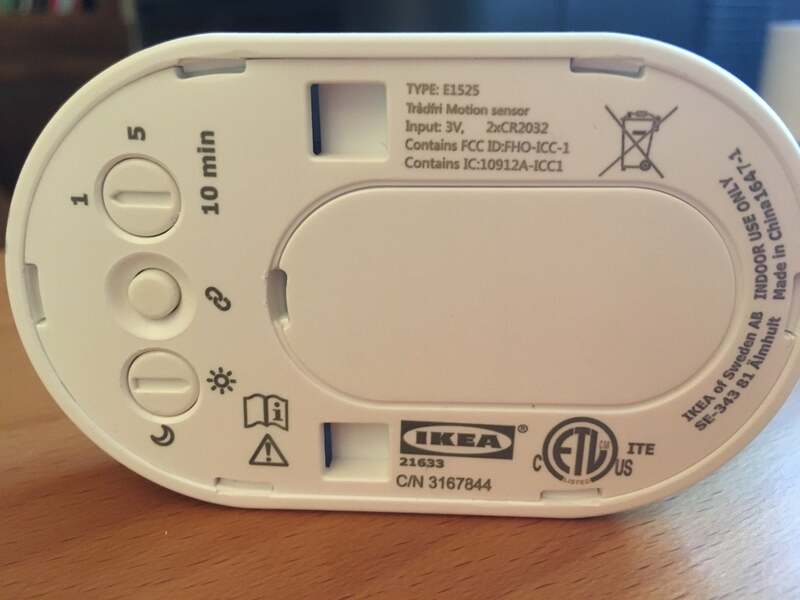 Ikea Tradfri Gateway Kit and Motion Sensor Kit reviews: Does the megastore deliver on smart lighting? When in doubt, avoid Swedish electronics. If you had trouble putting together the Billy bookcase, wait until you get your hands on Ikea’s smart lighting system! The fun begins before you ever even make a purchase: All 13 of Ikea’s smart lighting products are sold under the name of Tradfri, so first you need to know which of these products you want. 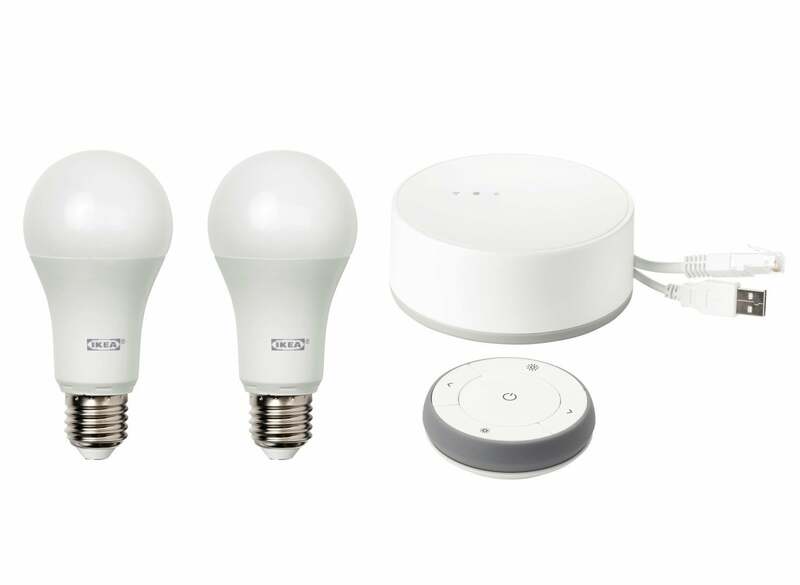 For any real smart home enthusiast, that answer will be the Ikea Tradfri Gateway Kit, which gives you two smart, somewhat-white-tunable bulbs; a wired hub that supports a mobile app; and a wireless remote control for $80. The gateway kit might look familiar, but it’s not up to par with the competition. From an infrastructure standpoint, the system is built a lot like the dimmable-but-non-tunable Philips Hue White Starter Kit ($69.99 at Amazon). Installation is a bit more complex, though. The hockey-puck gateway (a ZigBee hub) connects to your router via ethernet (and must be plugged in to wall power). After you install the mobile app, you scan a QR code on the back of the gateway, crack open the remote control, install a coin-type battery, hold the remote 2 centimeters away from the light bulb, hold down a button inside the remote for 10 seconds, update the firmware, and—presto!—you can now control your smart bulb like a boss. Don’t worry, all of this is explained in classic Ikea pictogram-illustration format, and you don’t even need an Allen wrench to finish the job. As smart bulbs go, the Tradfri lineup is decidedly simplistic. There’s no fluid color tuning, but the 980-lumen bulbs do have three color temperature settings: a cool 4000K, a mid-level 2700K, and a (very) warm 2200K that’s almost bright orange in tone. The bulbs also dim smoothly, but that’s the extent of what they can do. 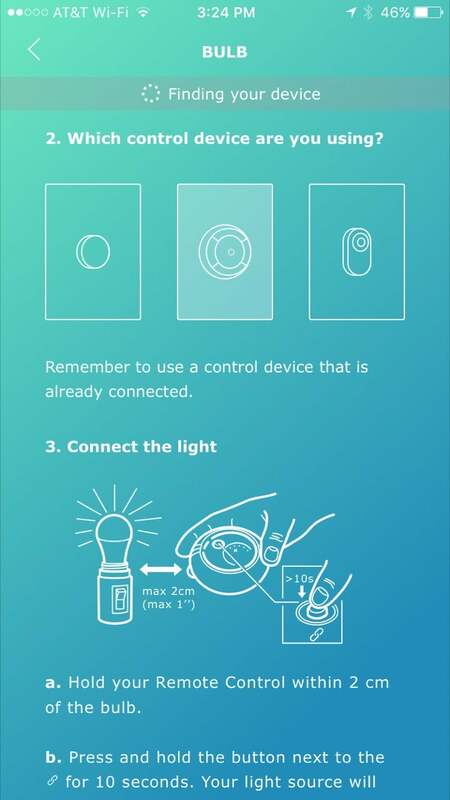 You can control all of these settings either through the mobile app or the remote control, but bear in mind you need to re-pair the remote to each light bulb you want to add. The remote controls all of the lights it’s paired with identically and as a group. If you want to use a separate remote for different lights in the house, that remote has to be bought separately ($15 each)—and no, you can’t control the bulbs via the app unless they’re paired with a remote. These confusing in-app instructions are typical for the setup of the Tradfri system. The good news is, wonky setup aside, the bulbs work fine once they’re set up, though the color of the light is far from exceptional, particularly the warmest tone. A basic timer system is included if you want to use the bulbs as vacation timers, but Tradfri doesn’t connect to any other smart home gear if you’re thinking about getting fancy with your setup. If you don’t need app-based control, you might consider one of the other Tradfri products, such as the Ikea Tradfri Motion Sensor Kit. (The other main system is a dimming kit, which we didn’t review.) The motion sensor kit consists of two pieces: a wireless motion sensor and a single 1,000-lumen smart bulb hard-tuned to 2700K (for $25). Again, the kit is self-contained. You don’t need the gateway kit for it to work—but the bulb can be paired to the gateway and remote instead if you decide you just want to use it as a regular bulb (at which point the motion sensor won’t work). Tweak your motion sensor settings by adjusting the dials to the left. You’ll have to open up the sensor anyway, because here you’ll find two dials that let you set how the sensor works. 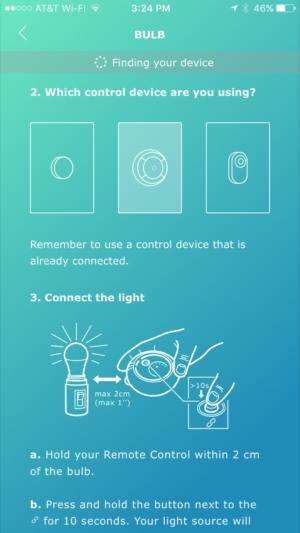 One lets you set the amount of time the light stays on after the sensor is tripped (1, 5, or 10 minutes). The other lets you set whether the sensor should work at night only or during both day and night. Both features worked exactly as advertised in my testing. In use, I found the sensor remarkably sensitive to motion—but only if said motion occurred quite close to the sensor. While Ikea claims a range of up to 30 feet, I only experienced a working range of 10 to 12 feet, which is definitely on the short side to be universally useful. At $25, however, this is a reasonably priced kit for a motion sensor system that works fairly well on the whole. Ultimately, it merits a cautious recommendation. 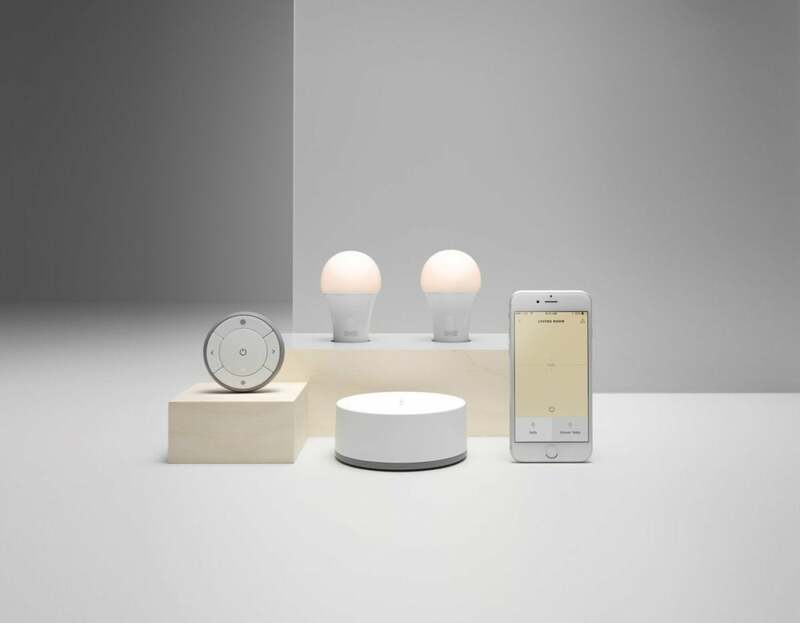 From its weak setup to its limited configurability, Ikea’s smart light kit leaves a lot to be desired. This self-contained motion sensor kit gets the job done, but is best reserved for tighter spaces where range isn’t an issue.